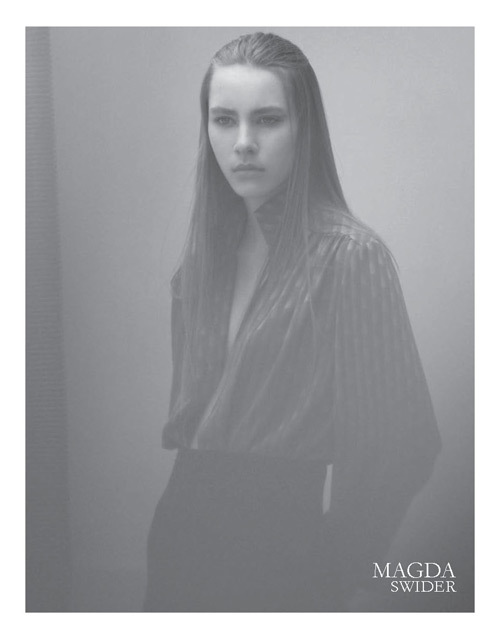 Magda is Polish, but she has a Romanian mother agency - Avantgarde. She's also with First in London, PMST in Czech Republic, Mega Model Management in Hamburg and Why Not in Milan. Wow, that first picutre ! Subscribing! I think she's lovely. I actually have quite a few shots of her, but I'm not sure if I should post them because they're from her facebook. She's super-sweet though! She has a showcard from Elite for the S/S10 shows! Wonderful! She's in NY now, so..
Amazing showcard. I like !!! 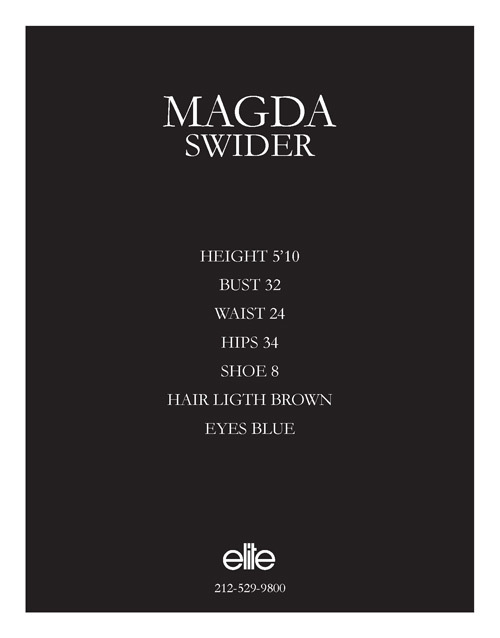 Models.com say about her :"poetically beautiful Magda Swider" I agree. so how is going on for her New York fashion week?no show? New polaroids. I love !! !